Dr. Carla Douple grew up right here in Lancaster County on a local “farmette”. She began to develop her love for all creatures great and small early in life as she “mothered” the various strays and back yard pets. Dr. Douple has been married to her husband, Steve since January of 1994. Their home, near Mount Joy, is currently shared with Waldo, a Great Dane; two French Bulldogs: Bruce and Betty; one cat, Opal; and a flock of pet chickens. Dr. Douple enjoys gardening, crafts, and movies. She and her husband enjoy hiking, biking, and kayaking, and trips to the family cabin near Shippensburg. 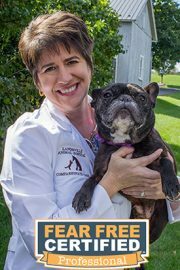 Dr. Corey has tended the dogs and cats of Lancaster County for the past 20 years. 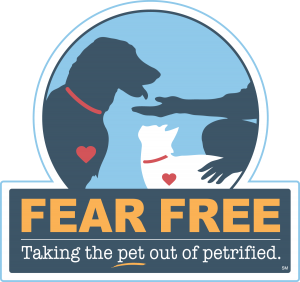 She was delighted to join Landisville Animal Hospital to serve the pets and their parents in 2013. She enjoys challenging internal medicine cases, puppy training tips and educating her clients. 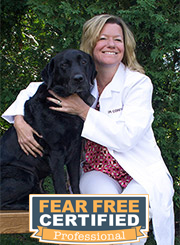 Dr.Corey shares her home with her wonderful husband Jim, her amazing daughter Amanda, her handsome black Lab Kolby Bingo and her three cats Aslan, Sydney, and Scarlett. She enjoys watching her daughter play soccer. She also enjoys snowmobiling, walking, going to the beach and spending time outdoors at her family farm. Her interests include dermatology and ultrasonography. When not spending time with her four-footed patients, she enjoys singing, cooking, watching movies, and reading. She lives with her husband Paul, two dogs (Einstein and Frankie), and three cats (Ada, Copernicus, and Johnny Cat). Dr. Hermann and her husband welcomed their son in June 2015. 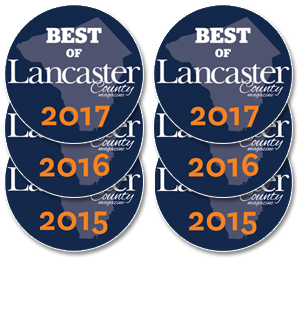 Dr. Keller was born and raised in Lancaster County and attended Conestoga Valley High School. After high school he knew that a health profession was in his future, and after spending a few summers as a veterinary assistant at Smoketown Animal Hospital, he was drawn to veterinary medicine because of the challenges, the constant variety, and of course, the animals. His special interests include orthopedic and soft tissue surgery. 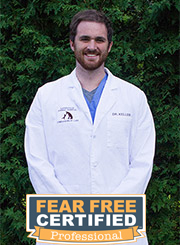 He graduated from Houghton College with a degree in Biology and a minor in Chemistry, and attended The Ohio State University School of Veterinary Medicine, graduating in 2014. He spent a year and a half practicing in Elizabethtown, and joined the Landisville Animal Hospital team in the summer of 2015. He and his wife, Lenore, their daughter Liesel and son Warren live in Elizabethtown with their cat Lou. He and Lenore have been married since 2010 and welcomed Liesel in September of 2015 and Warren in November of 2017. Dr. Keller enjoys hiking, swimming, biking, and taking care of the endless projects at his house and property. He also plays guitar and Cello and leads worship at The Alliance Church in Elizabethtown.